Plot approx 0. 400 hectares with full planning permission for the erection of a 3 Bed Detached dwellinghouse. Price over £50,000 Entry by arr. Viewing go along to site. BUILDING PLOT WITH PLANNING PERMISSIONSituated within easy commuting distance of Aberdeen and a 5 minute drive from the nearest train station this prime building plot is offered for sale with full planning permission for a 3 Bedroom Detached House with Integrated Garage. Site: Building plot extending to approximately 0.400 hectares or thereby located the village of Fordoun close to both Laurencekirk and Stonehaven. Access: Access to the plot is taken directly from a publicly maintained roadway and all services are available. 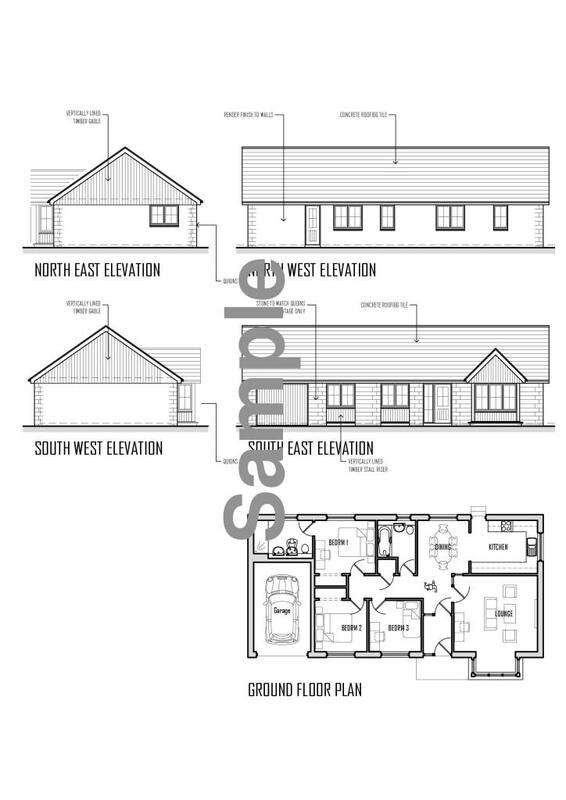 Planning Permission: Granted by Aberdeenshire Council for a detached 3 bedroom house. Application No APP/2010/3931. Details can be seen on the council website www.aberdeenshire.gov.uk/planning The Purchaser would require to obtain Building Warrant for erection of the house. Services: Mains water and electricity are close at hand. All connection costs are to be met by the purchaser.